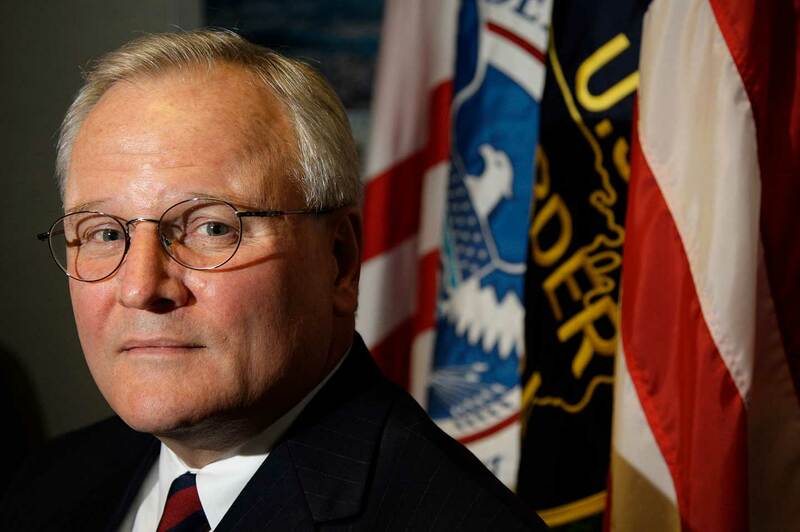 During James Tomsheck’s tumultuous time at US Customs and Border Protection, where he served for eight years as head of Internal Affairs for a historically secretive agency, he repeatedly spoke out against corruption in the Border Patrol. And, according to him, he suffered the consequences. He has filed two whistle-blower complaints, one in 2011 after receiving a poor performance review that he alleges was in retaliation for his outspokenness, and the second after being pushed out of the agency in 2014. Tomsheck spoke with me over the phone last month about the Border Patrol’s culture of non-transparency, the dangers of Trump’s desired hiring surge, and the history of violence, cover-ups, and recalcitrance in the agency. John Washington: You were ousted from the Customs and Border Protection agency (CBP) for speaking out against the agency, or for not following the “corporate message.” What sort of signal does your treatment send to other agents or officials who witness corruption or violence and who are thinking of speaking out? James Tomsheck: In June of 2014, [then] Commissioner Gil Kerlikowske issued me what’s called a 3R letter, which is a letter allowing me to accept reassignment, resign, or retire. It so happens that I was eligible to retire and chose to do so. From colleagues within the Border Patrol [BP], I was warned that it was an effort to discredit me. If I had chosen to [be reassigned], there would have been an ongoing battle I would have walked into, the intent of which was to discredit me. Within an hour of my being issued that letter, the Los Angeles Times and the Chicago Tribune, followed by just about every major newspaper in the country, printed stories that I had been fired because I had been insufficiently aggressive in dealing with excessive use of force and that I had failed to discipline BP agents. Exactly the opposite of that is true. I was a frequent critic of both [CBP human resources] and BP leadership for not properly disciplining agents, where I was always told, “Not your area of responsibility. Don’t want your input.” Kerlikowske will tell you that I was subject to a “routine reassignment.” No part of that is true, but that is the official company line. At the end of the day, [the media] wrote something that was enormously harmful and damaging to my reputation, which has continued to cause considerable problems for both myself and my family. It was beyond very unpleasant. But there is no question—as I have been told by many, and knew myself in the beginning—that part of what they did and the way they did it was to discredit me for what I had already testified to before a Senate subcommittee, and what I had said in many Senate and House staff briefings, and what I had put forward in the way of official memorandums to CBP leadership. That included myself and my deputy, James Wong, being summoned to then-Deputy Commissioner Aguilar’s office and being ordered by him to redefine corruption in a way that would reduce the actual number of corruption arrests that we reported, from 80-something to 20-something. There was no question in my mind that he was ordering us to cook the books [editor’s note: Aguilar has not publicly responded to Tomsheck’s allegation regarding this incident. The Nation was unsuccessful in attempting to contact Aguilar]. Something that we would never give any consideration to doing, but not only did they want to inhibit transparency, they wanted to flat out lie. And that’s exactly what that episode was about. JW: So you think that your experience does discourage other officials or agents from coming forward? JT: No question about it. There were a number of people that were almost as outspoken as I was within the organization. None of those people came forward. None of those people wanted to experience the same character assassination and reprisals that I was subjected to. JW: What about agents in the field? Do they recognize that there is an increased firewall between what they do and public perception, that they might feel more protected, have more impunity, that they can do whatever they want in the field? JT: There is no question that leadership of the BP saw what happened to me as an opportunity to have two things occur: One, use me as a scapegoat, and blame me for what they were responsible for. [The second was to prevent reform within BP:] It was Mike Fisher, then the chief of the BP, and [current BP chief Ronald] Vitiello who were highly critical of the Police Executive Research Forum report [which recommended, among other things, more strict use-of-force guidelines]. All of BP was strenuously opposed to [the findings of the report] and refused to adopt any of the recommendations that were put forth in the report. At every opportunity I encouraged that all of the recommendations should be adopted, pointing out that the use of force in the BP was completely inconsistent with the constitutional restraints that applied to every law enforcement [agency] in the United States. The use of deadly force is only justified when the agent or officer’s life is in immediate peril or that of a nearby citizen. Time and time again, there have been fatal shootings at or near the border where BP agents chose to use lethal force not because they had to, but because they wanted to. JW: Given the history of shootings or harassment at checkpoints, which BP has attributed to rogue agents, are there policy memos, or training guidelines, or minutes from musters that would reveal that some of these actions come from a directive, or are part of a more systemic problem? Is there a trail that would lead up the chain of command? JT: There are memos that I have seen that remain at CBP…that strongly encouraged agents to use lethal force when responding to rock-throwing incidents that they believe put their life at risk. [Those memos] flew in the face of the common sense response to projectiles being thrown, which is step out of the path of the projectile, or duck. I spent over 40 years in law enforcement. I started as a police officer in Omaha. We didn’t get rocked a lot, but we had lots of bricks and bottles thrown at us. The reality is that no one ever gave any consideration to using lethal force. JW: Given the lack of response to media and FOIA requests, and the current administration’s relationship to the media, do you think that CBP is going to clam back up even more? JT: I don’t think there’s any question about it. The National Border Patrol Council [a Border Patrol union] has exerted extraordinary influence over the BP. Essentially, by virtue of their political support for Donald Trump, they were allowed to fire the former chief of the BP, Mark Morgan, and replace him with Ronald Vitiello. Vitiello is going to roll back anything in the way of positive change that had occurred during the time I was there or in the time afterward. JW: Do you think that the BP being charged with this nationalistic rhetoric will result in more shootings, denial of constitutional rights to people crossing the border, or at checkpoints? JT: I don’t think there’s any question that the BP believes that the current political environment has uncuffed them from executing the mission in a way that they believe it should be executed. That, I’m afraid, will include a significant increase in aggressive behavior that runs the gamut from being discourteous all the way up to use of force. JW: In Tucson, there’s a lot of talk about a cross-border shooting from 2012, in which a 16-year-old Mexican citizen was shot and killed by an agent. We just heard from the lawyer of the agent who killed the boy that the footage was either “lost or destroyed.” I’m wondering how far up the chain of command the “losing or destroying” of the footage could have gone. JT: You’re referring to the case of José Antonio Elena Rodríguez, who was shot and killed on October 12, 2012. He was shot once in the upper torso, fell to the ground, and was shot nine additional times in the back of his head and the back of his torso as he lay motionless on the ground [editor’s note: Accounts of the sequence of these shots differ, but all agree that Elena Rodríguez was shot a total of 10 times, at least eight times after he was on the ground]. I’ve personally seen the video from three different angles, of agent Swartz firing his weapon, the round in the chamber, plus all 12 rounds in the magazine, reloading and firing at least one additional round for a minimum of 14 rounds. [Elena Rodríguez] was posing no threat and not attempting to throw rocks when he was shot. And if he was throwing rocks before that he would have had to have the strength and skill of a Major League baseball pitcher to potentially get a rock up and over the fence from where he was. It is preposterous that they’re reporting that either the recording doesn’t exist or that there is no original version of it. There was, I can assure you, an order filed by an attorney there near the Tucson area to preserve [“electronic,” meaning video] evidence related to that incident. It is outrageous that no original [remains]. The original should have been imaged and the integrity of it maintained, and copies of it made on which forensic enhancements may have been conducted. But there should never have been any disturbing of the original by any forensic examination. 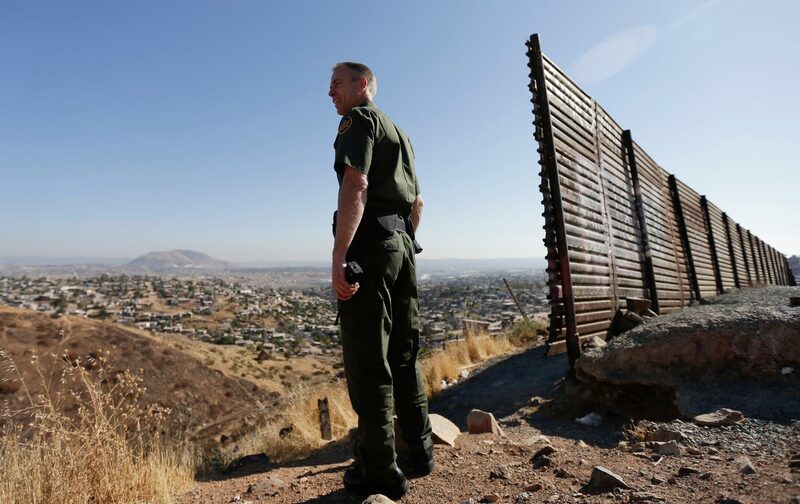 JW: Thinking of the policy, Prevention Through Deterrence, which for over 20 years has driven border crossers to walk further and further out into the desert into more and more remote regions…. Are there conversations inside CBP, in which officials say, “Hey, this isn’t working,” or “This is causing a lot of death and suffering, and maybe we should reconsider this”? JT: There were frequent discussions of that type held in my presence during the eight years I was at CBP. There was never any suggestion from BP leadership that any change in their policy would reduce border deaths. There was never any acknowledgement on their part that their practices and their tactics actually caused people to go into more dangerous areas of the desert to put themselves and sometimes small children and whole families at risk. JW: Is that willful ignorance? There were policy guidelines that were written in ’94, acknowledged by former INS head Doris Meissner, that discussed that very strategy: that people would face harder journeys across the desert, and there was an understanding then that they would be dying. Did CBP officials forget that? JT: I believe it was selective memory that came into play. And this is my opinion, not something that I factually know. I believe there are certainly BP agents who have sympathy for those persons who lost their lives entering the US because they were in areas that were completely uninhabitable during that time of the year. There are also people in the BP who have a very cold and callous attitude toward migrants. And there is, despite the fact that the only crime they may be committing is illegally entering the US, they see them as an adversary, not as someone who is a very vulnerable person who is at grave risk. JW: How can the American public learn more about CBP? Is there a way to encourage more people to come forward, to make a call for whistle-blowers? JT: I hope so. But again, I know very well that they did their best to publicly humiliate me. People don’t want to experience something like that. There were a lot of people who were terrified when they saw what happened to me and weren’t about to continue what they were involved with at the risk to being subjected to the same treatment I was. JW: How do you appeal to someone given those very serious consequences, to come forward and try to inform the public? JT: Those who have come forward to me, saying “What do you think, should I go on record with this?” Their conscience bothers them, they know it’s the right thing to do. My words to them have been words of caution. Just go into it eyes wide open, understanding that the official whistle-blower process is a painstakingly slow, exceedingly inefficient process that may play out over the course of years and may not achieve anything. JW: Are there any other questions we’re not asking? Other unknown unknowns we don’t even know to ask about how CBP operates that the public should be engaged in conversation with? JT: The issue that I think the public needs to be informed of is what the National Border Patrol Council [the Border Patrol union], CBP leadership, Border Patrol leadership, and DHS are going forward with which is to greatly lower the standards for BP agents [to be hired]. Both Arizona Senators [John McCain and Jeff Flake] have sponsored legislation to create waivers from the polygraph exam for persons leaving the military. The reality is that some of the most egregious corruption cases that I was aware of, and there were roughly 170 of them from October 2004 until I left, were persons who had served in the military. They were beyond highly unsuitable, but they were hired. The idea of waivers for those persons, simply because they served in the military, is preposterous. What was dramatically different with the CBP polygraph program [compared to other law-enforcement polygraph exams] was not only the fact that a larger number of people failed the exam, but the admissions of the applicants who failed the exam were hair-raising. The most shocking, frankly terrifying, were the many applicants who admitted that they were infiltrators. That they actually worked for a drug-trafficking organization and had for some period of time. They had been directed to apply for the job solely for the purpose of feeding information back to the criminal organization they worked with. The memo put out by [Trump appointee Kevin K.] McAleenan, the acting commissioner, very clearly is an effort to facilitate the proposed hiring surge that the Trump administration has proposed, adding 5,000 new [CBP] agents as soon as possible. In addition to the waivers on the polygraph, they want to discontinue using the [Law Enforcement Pre-Employment] test and, in a pilot for six months, they want to instead test applicants using a polygraph test designed for intelligence-community analysts, not for law-enforcement officers. It’s a polygraph test that asks questions about espionage and sabotage. It completely eliminates the relevant questions referring to illegal drug activity and to whether or not the applicant falsified any of the information in their application document. Those are the two questions that applicants fail most often. The idea that you would remove a question about illegal drug activity for applicants to go to work in a law-enforcement agency where drug interdiction is part of the core mission is absolutely absurd. Read the next article in this series, Why We Need a Whistle-Blower in US Customs and Border Protection.